This scene is located on the way to Fairy Falls, past Wahkeena Falls up a series of moderately difficult switchbacks for about 1 mile. Unfortunately, the Columbia River Gorge is under threat of wildfires at the moment. The trail to this is closed right now as of September 10, 2017. 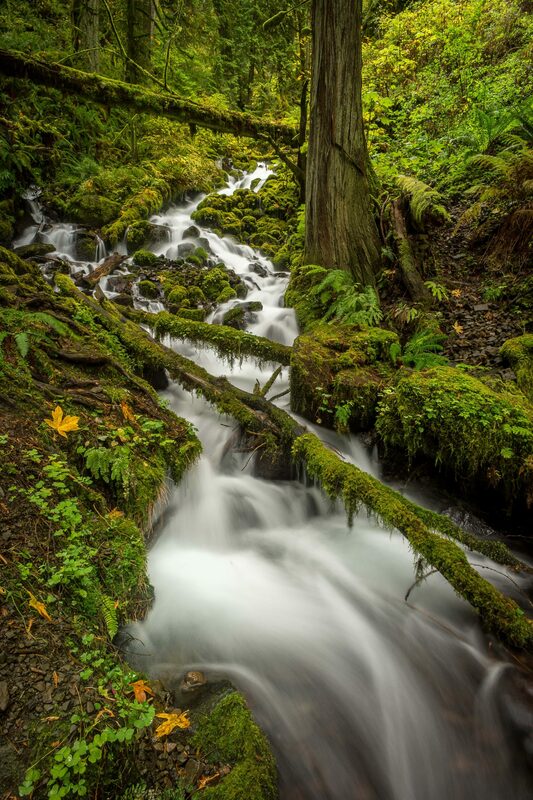 The Columbia River Gorge is an emerald gem, never more so than after a brisk rainstorm. "The wise man knows that it is better to sit on the banks of a remote mountain stream than to be emperor of the whole world." Zhuangzi.